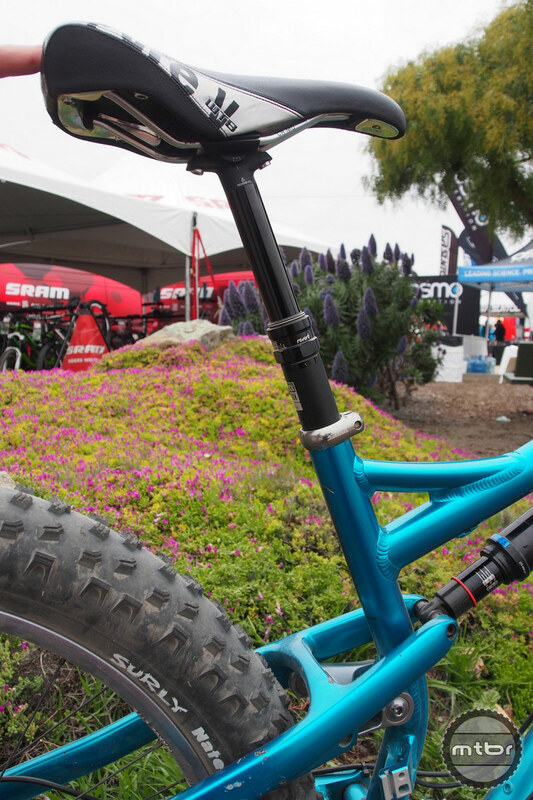 Without a doubt, the most sought after bike to demo at the the 2014 SaddleDrive event was the Salsa Bucksaw. 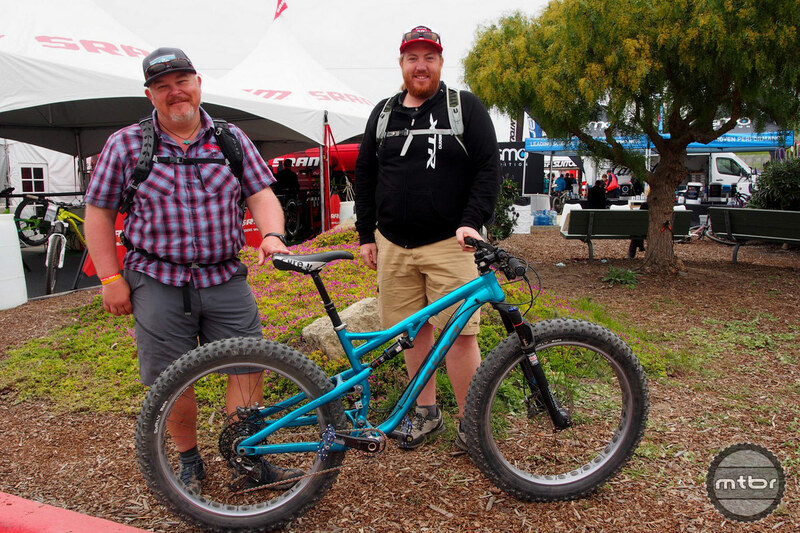 Among the hundreds of bikes available from QBP brands, the line for the 100mm, full suspension fat bike from Salsa was always the longest on both days of the demo. 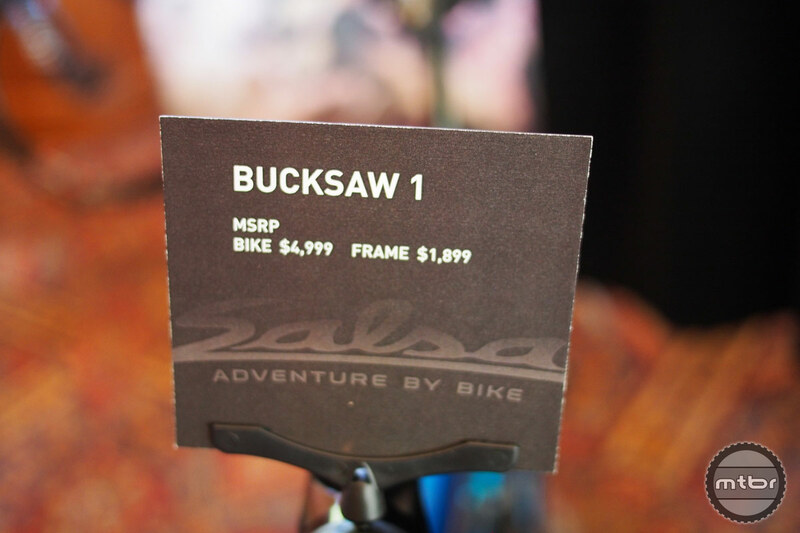 The Bucksaw is a 100mm front and rear travel fat bike from Salsa and is the first entry in this arena. 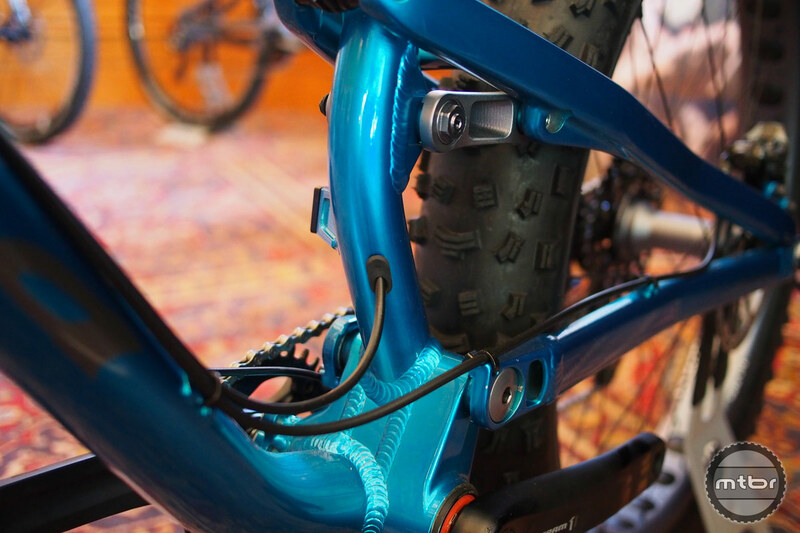 It uses a very sophisticated Weagle Split Pivot rear suspension mated with the new RockShox Bluto front fork. 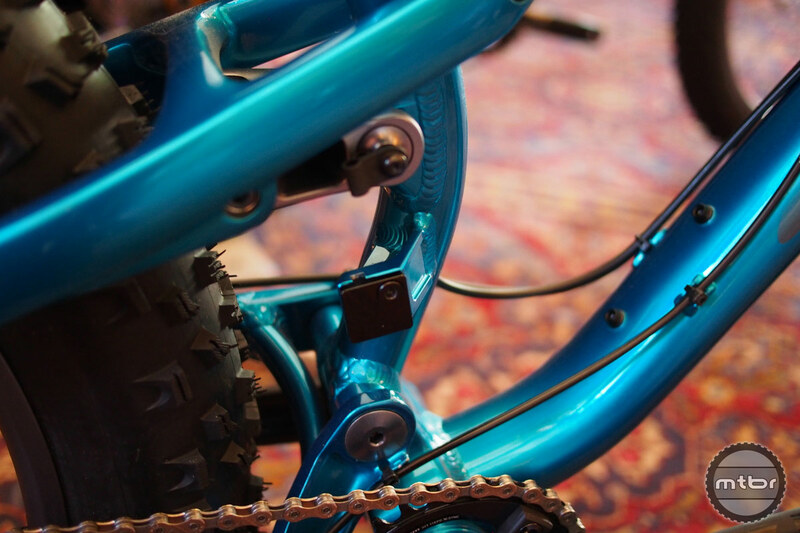 The most common question reaction is “Why would one need full suspension for a fat bike?” “Isn’t it just for snow and sand?” Well the fat bike really isn’t just for snow and sand. It works well in those conditions but it really has a large sweet sport and that seems to be broadening with each product introduction these days. 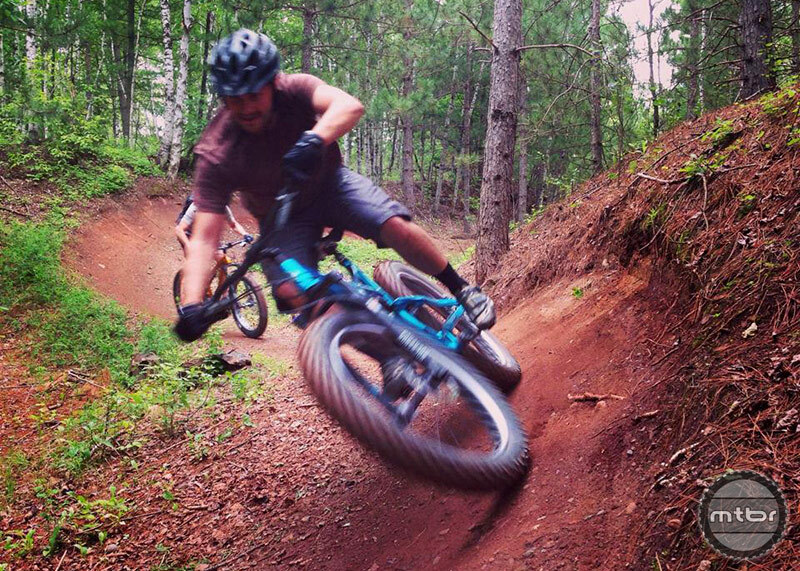 What fat bikes really deliver is comfort, traction and flotation. And those qualities can be tuned for the application at hand. 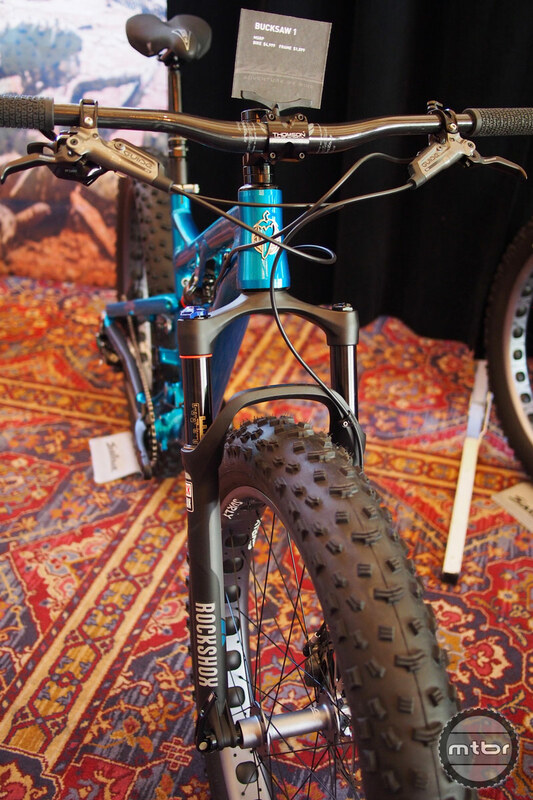 The initial target of fat bikes was ‘flotation’ as those huge tires floated over snow, sand and ungroomed terrain for unparalleled access by bike. 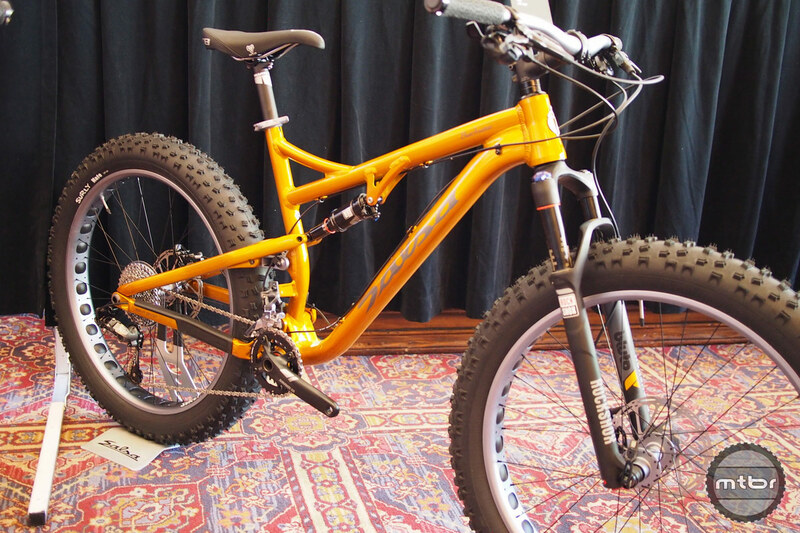 But Salsa is really well beyond that opening shot and it is now evolving different categories of fat bikes for exploration, hunting/fishing, racing. 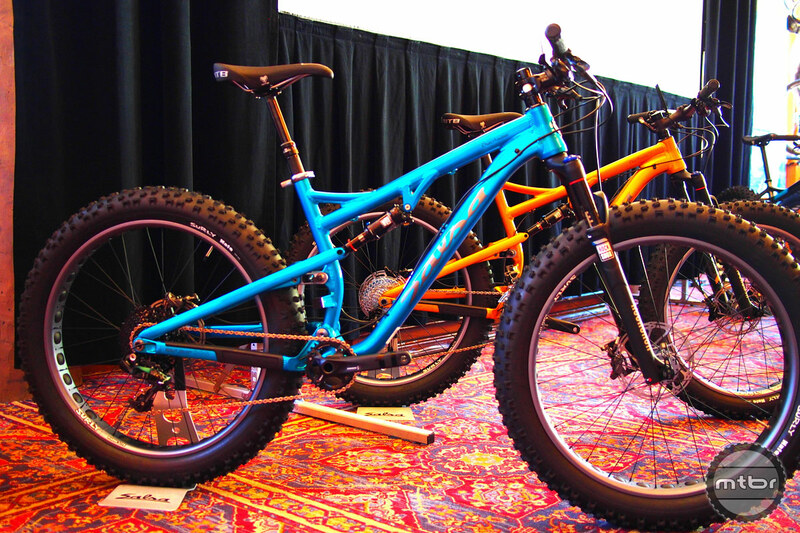 And this Bucksaw is the evolution of the fat bike for trail and all mountain riding. Any trail and all mountain rider who’s ridden a fat bike is really surprised by the traction and fun factor of the fat bike. But it is all too easy to get going too fast and enter a rock garden or a drop under gunned with zero suspension. Sure the huge tires have a lot of give but it is not enough suspension and it is undamped! So the table was set for a full suspension fat bike and Salsa employed the services of one of the best minds in the business, Dave Weagle. Dave was passionate about the project as he likes breaking new ground with suspension design. He first started by measuring the the suspension properties of a 4-inch fat tire at 8-12 psi on a dyno machine. Understanding the spring and damping properties of that tire, they then ventured out to build a frame around it. Check the video below to understand the Split Pivot design which is also used in the Horsethief and Spearfish. 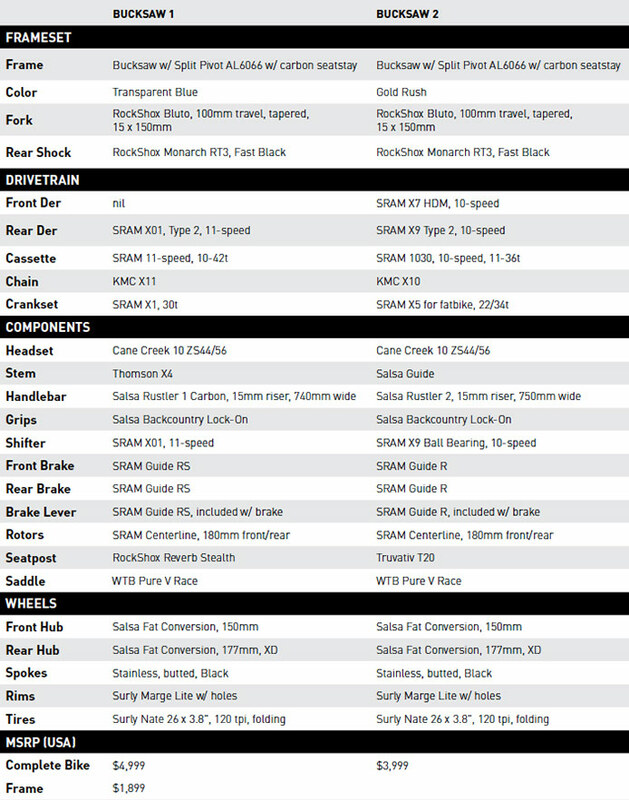 Interestingly enough, Salsa chose 3.8 tires with 65mm wide rims. They could have chosen such tools as a 5 inch tire with 100mm rims that are available from their arsenal, but they did not. Their understanding of the bike’s application drove them to optimize for cornering, handling and agility. This bike is meant to go fast and jump and bomb down so they designed in agility and designed out auto-steer which can be found in some fat bikes. Well, relatively agile of course as it’s still a massive tire. But throughout the test rides in Snow Basin, riders seemed excited and confused by the new paradigm in bikes. 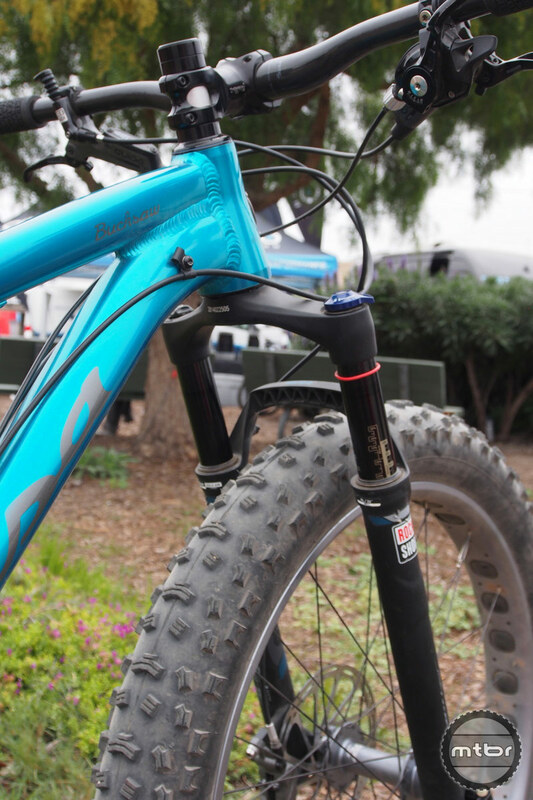 Full suspension fat bikes could be an anomaly or it could be the start of a new wave of bikes that delivers traction and stability yet are still fun to ride. This bike railed and steamrolled throught the trail but the Snow Basin trails were really not enough to challenge this bike. A lot more rocks and ruts are needed to prove if this bike poses a unique advantage on the high speed and rough trails. On the few rocky trails of Snow Basin, one had to adjust one’s line selection to just go through the rocks instead of maneuvering around them. The change is similar to the transition as riders started to take full advantage of full suspension bikes over hardtails. The rear suspension seems well sorted. Climbing and pedaling is actually quite efficient as the Weagle suspension just floated over rough climbs without locking out or sagging. It just remained high in its sag position, quickly responding to bumps. Braking hard into rough turns was pretty cool as the bike really did seem more active than most bike systems that stiffen up under hard braking. The only real question is can this front fork hold up to very rough terrain or hard cornering without flexing noticeably. Other testers expressed their concern about this and we will pay close attention to it. 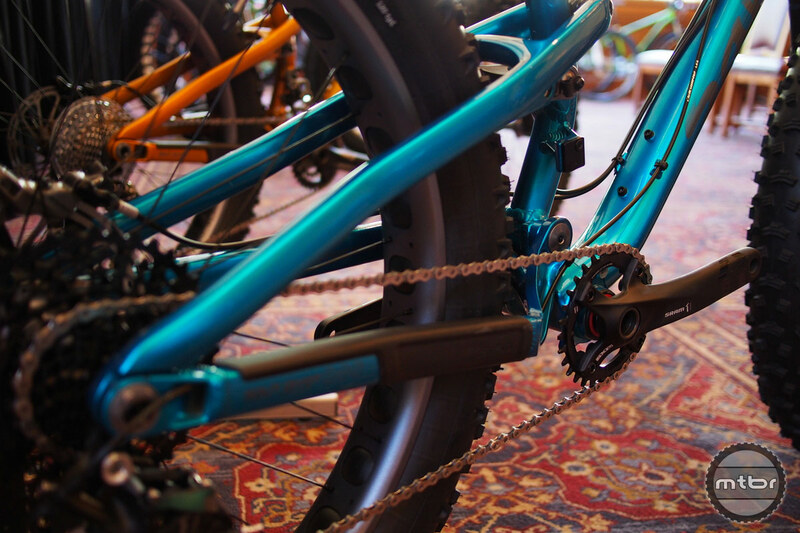 The tires and rear suspension are certainly capable of very rough terrain and aggressive riding and they will stress this fork out during aggressive riding. But this fork isn’t really made for these kinds of forces as it has a wide spacing and just Revelation style 32 mm stanchions. On the intermediate terrain though of Snow Basin in Utah, the fork and chassis performed quite well together. 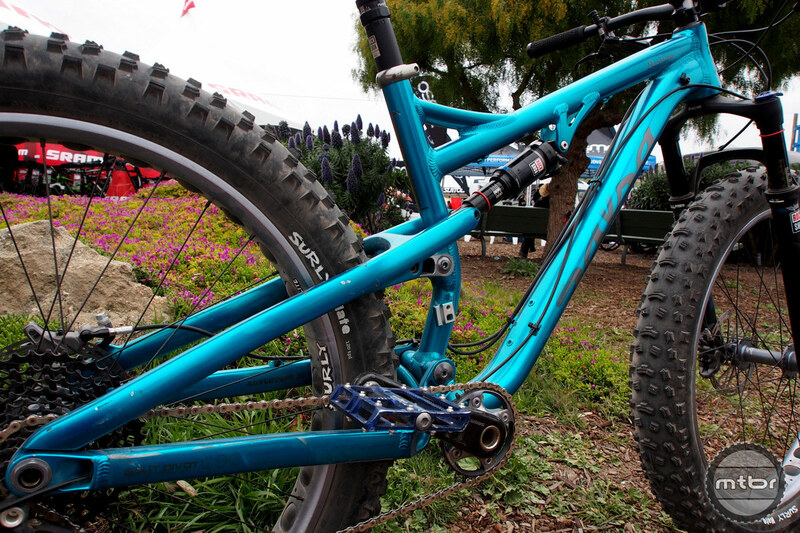 Mtbr will be getting the Bucksaw soon so stay tuned for a more detailed Santa Cruz forest test session report! Meh! I’m just not seeing it. We went from comments about fat bikes being like fat girls, fun to ride but you don’t tell your friends to portly fat rides that are sloppy. I’m gonna stay clear of these honeys. Because we digress. Snow Basin wasn’t rocky enough huh? Should have taken it up the Northern Skyline to Ben Lomond. As crazy as it sounds I think this would make for a good tandem design. On the tandem I’m always struggling to find traction because I can only fit a 2.4″ tire on the back of my Ventana El Conq, and when it gets steep (expert/ black diamond level terrain) I never have the grip I would like in the back. Sometimes I even run out of front wheel traction (under steer on a bike is a weird sensation). Also, anything to get rid of some of the harshness in the back would be appreciated by my lovely stoker. I wouldn’t be worried about the reduction in bike handling since that has already gone out the window, and traction is almost always our limiting factor on steep terrain. For a single bike though? NOPE! I’ll start buying Salsa’s again when they get rid of the Press Fit BB and Integrated headsets. Cool bike, but a non-starter due to the gimmicky, cost-cutting component standards. I miss the days when Salsa was a bike company for riders by riders. I rode this bike yesterday at the demo in Bend OR, hoping for a “quiver of one” option. Must say, descending it was really fun, great traction and very nimble. Not sure I could live with the inertia of the very heavy wheels/tires. Crawls nicely up steeps but moderate climbs are hard work, Accelerates as you would expect…slow. Rode the Horsethief too, loved it. 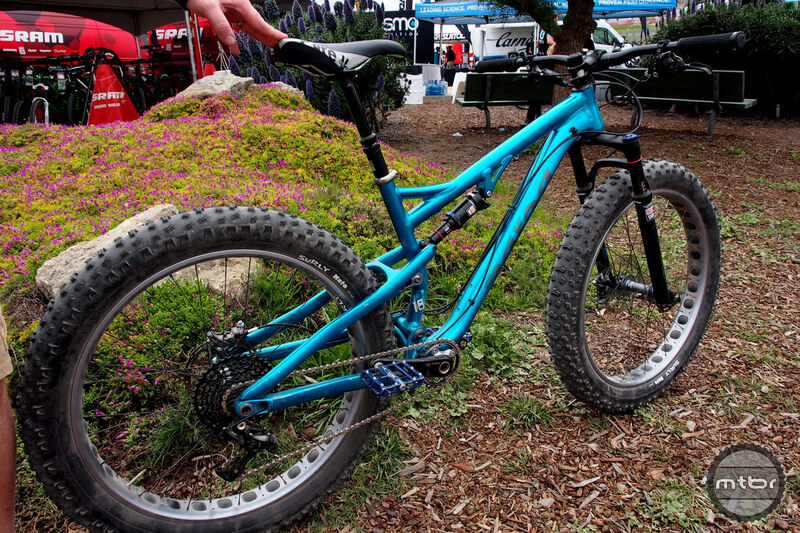 I’ve ridden several similar 29ers (Tall Boy, Camber, Stumpy) Horsethief was hands down the best experience. Felt completely at home on the bike from the first pedal stroke.